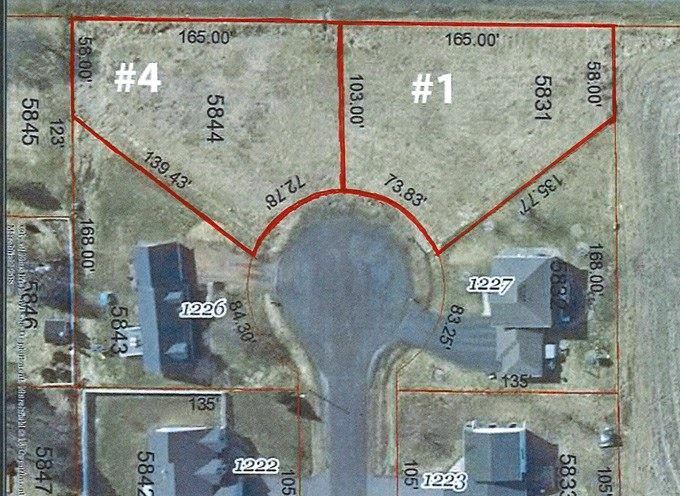 BRING YOUR BUILDER & START CONSTRUCTION NOW.. where can you find city lots on Marshfield's westside on a cul-du-sac for under $30K--Jefferson St--that's where you'll find lots #1 & #4 each just under .4A and priced at $29,900 each. Buy both and have room for your new custom home, extra play space, garden space or a little more privacy between neighbors! Evergreen trees will be added to the back of the lot.